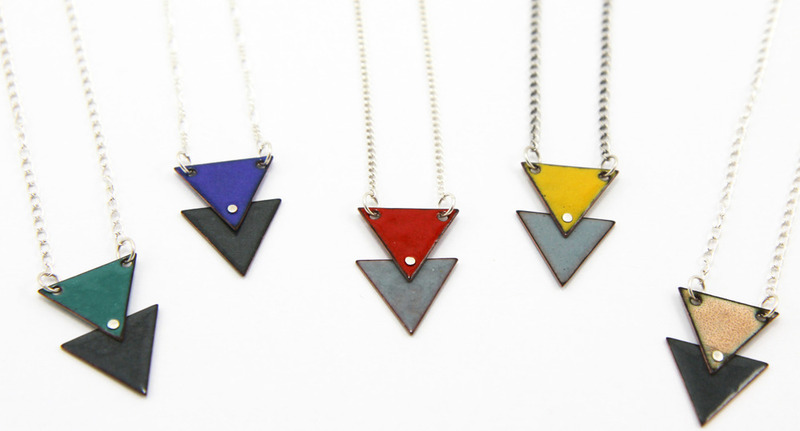 Introducing my brand new Double Triangle Enamel Necklaces in five fun color combinations. These lovelies start out as two tiny copper triangles that I drill with holes, kiln-fire at 1500 degrees with colored glass enamel, rivet together with a fine silver rivet and complete with an 18" sterling silver chain. Check them out in my etsy store today.